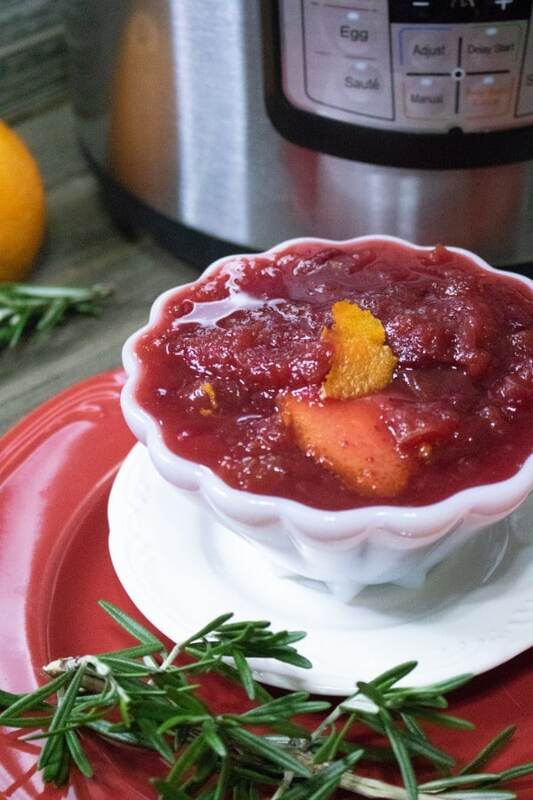 This Instant Pot Cranberry Sauce requires less hands-on time than making it on the stove. And it turns out just as good and super tasty! 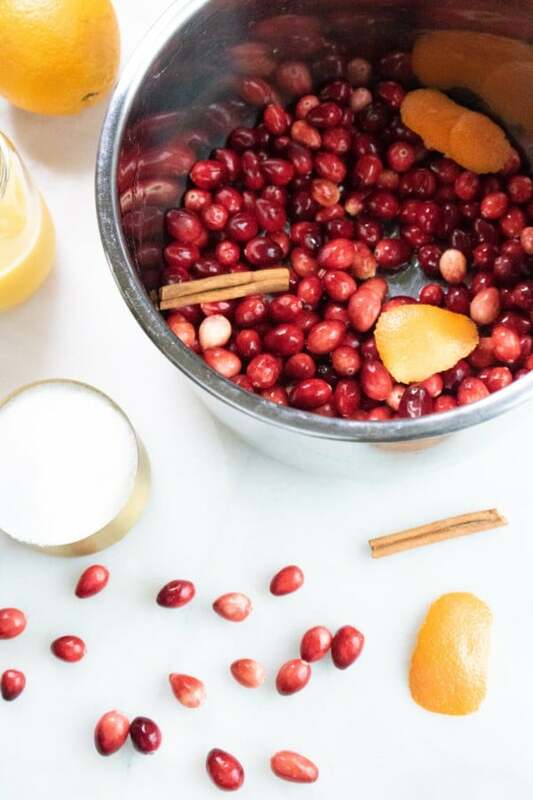 Homemade cranberry sauce is really easy, but when you’re managing several different dishes for a Thanksgiving feast, those minutes you’d normally spend standing at the stove stirring become very precious. 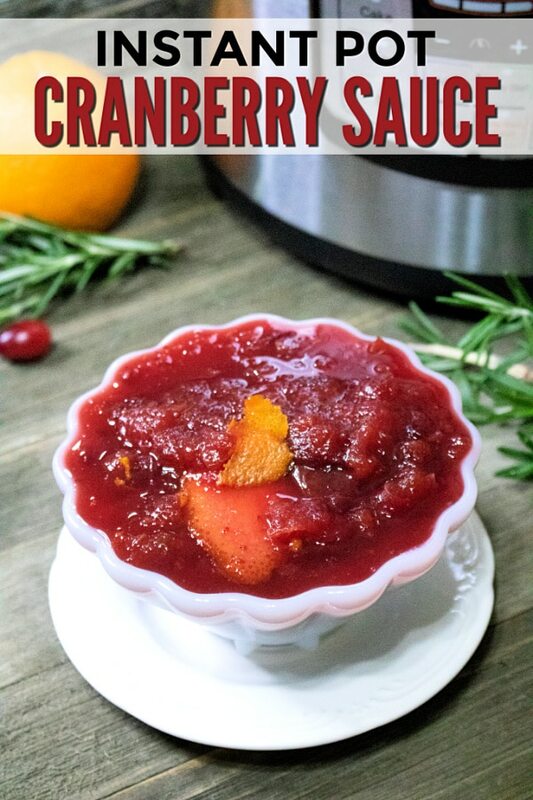 That’s why Instant Pot Cranberry Sauce is a great side dish. 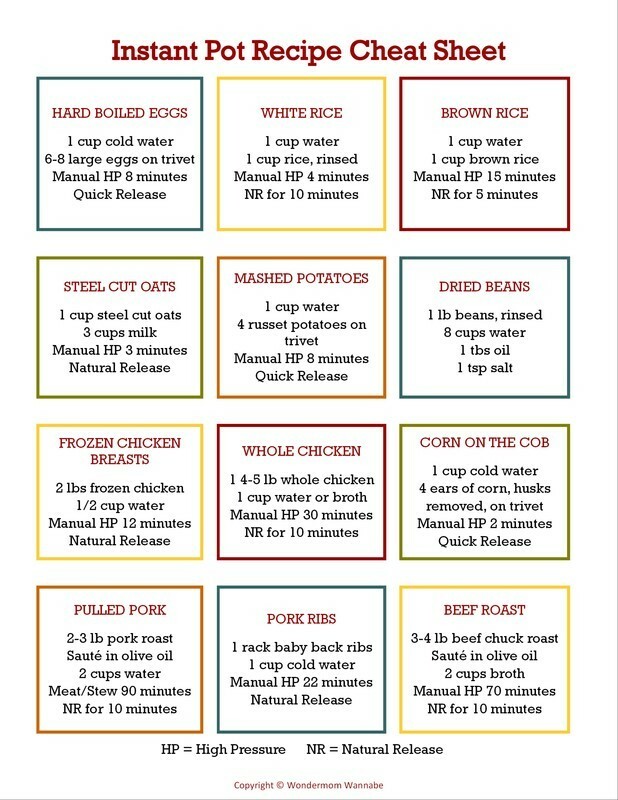 The Instant Pot does all the work and you only need to spend a few seconds mashing and transferring to a serving bowl when it’s done. The only equipment you’ll need is your Instant Pot and a serving dish if you don’t want to serve it straight from the Instant Pot. 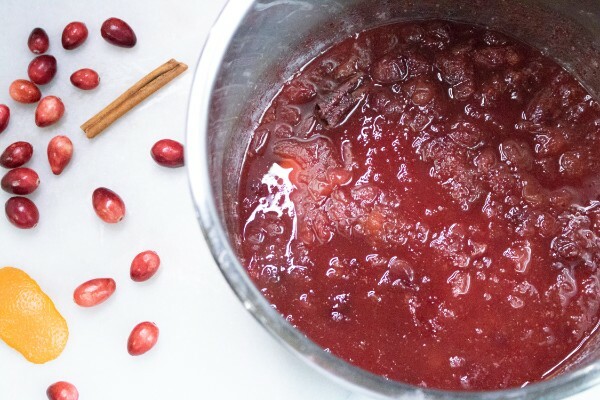 Making Instant Pot Cranberry Sauce is even easier than the stovetop version. No need to stand at the stove to stir and prevent splatters! Simply add all the ingredients in the inner pot of the Instant Pot. Secure the Instant Pot lid and make sure the valve is set to sealing. Cook on manual high pressure for 6 minutes. After the timer beeps indicating the cook time is over, let the pressure release naturally for 6 minutes. Then, move the valve to venting. Mash the cranberries lightly and transfer to a serving dish. 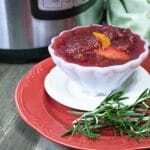 Your Instant Pot Cranberry Sauce is ready to serve! In case you need it, here’s the printable recipe card for Instant Pot Cranberry Sauce. Combine all ingredients in inner pot off the Instant Pot. Allow for a natural pressure for 6 minutes and then let the remaining pressure out. 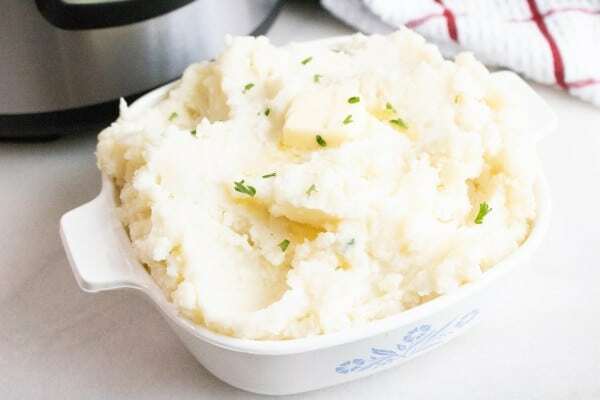 Mash lightly before serving. 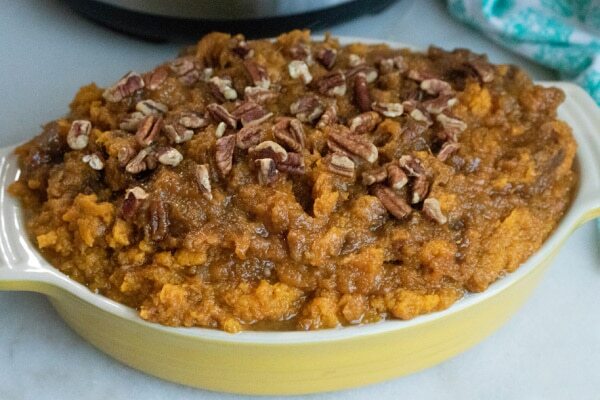 Love the idea of using your Instant Pot to help with your Thanksgiving feast? 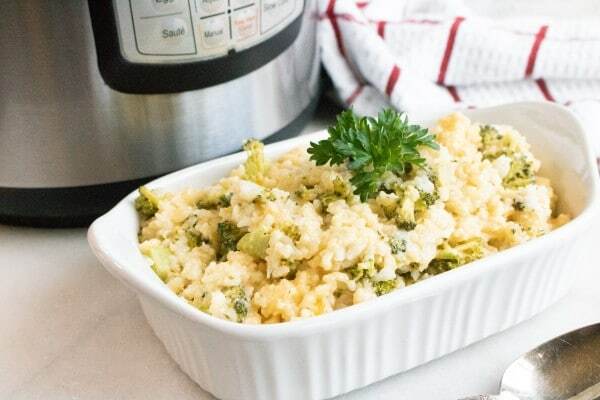 Check out these other Instant Pot side dish recipes.